I was first introduced to the luxury of down duvets and duvet covers on a trip to Ireland in 1990, long before they became popular here in the US. The US hotel industry has really popularized the concept of providing crisp white sheets and duvets, first as part of a true spa experience. If you've wanted to achieve the look and feel of a spa-like, high-end hotel experience in your own bedroom, here are some tips on choosing the right duvet to fit your needs. Duvets were originally filled with goose or duck down feathers can be traced back to the 16th century. A duvet is a special type of bedding that's designed to be used with a cover; covers are generally washable while putting a feather down duvet in a washing machine is not recommended. Since the duvet cover essentially serves as a sheet, many people don't use a top sheet with them and find it easier to make the bed - you just pull the duvet up, plump the pillows and you're done! Comforters are much the same as a duvet but most often have a fill made of synthetic fibers. For this reason they are made to be washed in a washing machine. A comforter can still be used with a duvet cover, but it can also be used alone without a cover for a "hotel" style look. The price of a comforter or duvet can vary widely, so here are a few tips on choosing the right one for your needs. The shell is the cover material that envelops your duvet. The shell is most commonly made of cotton as the material is comfortable and durable. Pay attention to thread count, as a higher thread count does a better job of keeping feathers from poking through the shell. If you're planning to use a duvet cover with a high thread count then the thread count of the duvet shell is not as important. 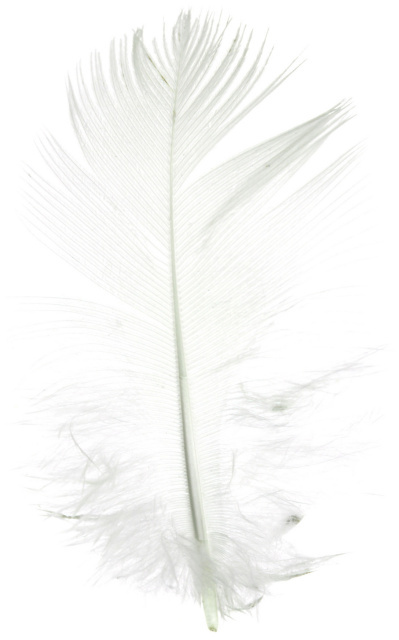 Duvets have been filled with down feathers for centuries. If you are allergic to regular down, consider the hypoallergenic down option where the feathers have been specially cleaned to removed allergens. Down alternative styles have become very popular; materials may be synthetics or made from natural plant materials. The density of the down is known as fill power, or the volume of one ounce of down. 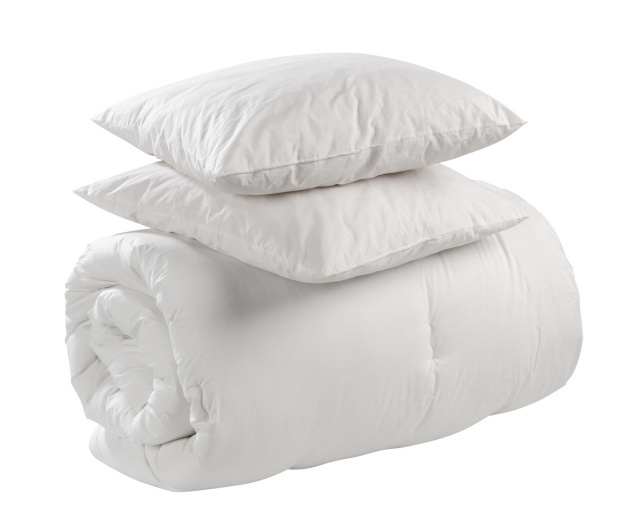 Average fill power of a duvet is 600-700; high end duvets will go up to 900. A higher fill power will result in a fluffier duvet while lower fill power will be a denser and flatter duvet. Fill power doesn't necessarily mean a warmer duvet but does affect the appearance. The way the comforter is assembled and sewn together also makes a difference in the duvet. Sewn through construction has seams that penetrate both sides of the duvet so it keeps the feathers in place nicely and is durable. This style is more comfortable in warmer weather. Baffle construction has fabric inside the duvet that forms internal walls to keep the fill in place, so this style is higher priced but helps eliminate cold spots that can occur with sewn through construction. Box construction is the most common style and, again, keeps the fill in place within these squares. Channel construction - or seams in parallel lines - is the lowest priced alternative because it can allow the feathers to shift around a lot and bunch in some places. This is an advantage for some; if one person likes a cooler bedding you can shift some feathers to the other side.